Dr. Cary Templin specializes in the operative and non-operative treatment of the cervical, thoracic, and lumbar spine. Dr. Templin is an expert in minimally invasive surgical procedures. Dr. Cary Templin specializes in the operative and non-operative treatment of the cervical, thoracic, and lumbar spine. 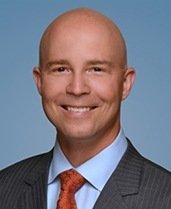 Dr. Templin is an expert in minimally invasive surgical procedures. His practice includes spinal decompression and fusion, microsurgery and motion-preserving procedures, including artificial disc replacement.